October 15, 2018 5:03 pm. Ace High will work at Caulfield with Damien Oliver aboard ahead of his bid to win the Caulfield Cup. Ace High’s trainer is confident the Victoria Derby winner has never been better ahead of the first of his major spring targets in the $5 million Caulfield Cup. Four-year-old Ace High arrived in Melbourne from Sydney last Thursday to prepare for Saturday’s Group One Caulfield Cup (2400m). He will have a gallop on the course proper at Caulfield on Tuesday morning in in company with fellow Caulfield Cup entry Mighty Boss. Champion jockey Damien Oliver picked up the ride on Ace High with the horse’s regular rider Tye Angland to miss the Caulfield Cup because of suspension. Oliver, whose most recent of four Caulfield Cup wins was on Sky Heights in 1999, will jump aboard Ace High for the first time in Tuesday’s work-out. David Payne is confident everything is spot-on with the stayer who signalled he was on target for both the Caulfield and Melbourne Cups with his strong win in the Group Two weight-for-age Hill Stakes (2000m) in Sydney last start. “He’s never been better so I’m happy,” Payne said. “With a little bit of luck he’ll be thereabouts. “We’re going to give him a gallop tomorrow. Ollie will take him around and just get him used to it. Ace High is considered one of the leading local contenders for this year’s Cups and has been stabled at Caulfield since he arrived in Melbourne last week. He was at $11 in Caulfield Cup betting on Monday, a day before the declaration of the final field. The Aidan O’Brien-trained international visitor Yucatan was the $4.50 favourite after his arrogant win in Saturday’s Herbert Power Stakes. 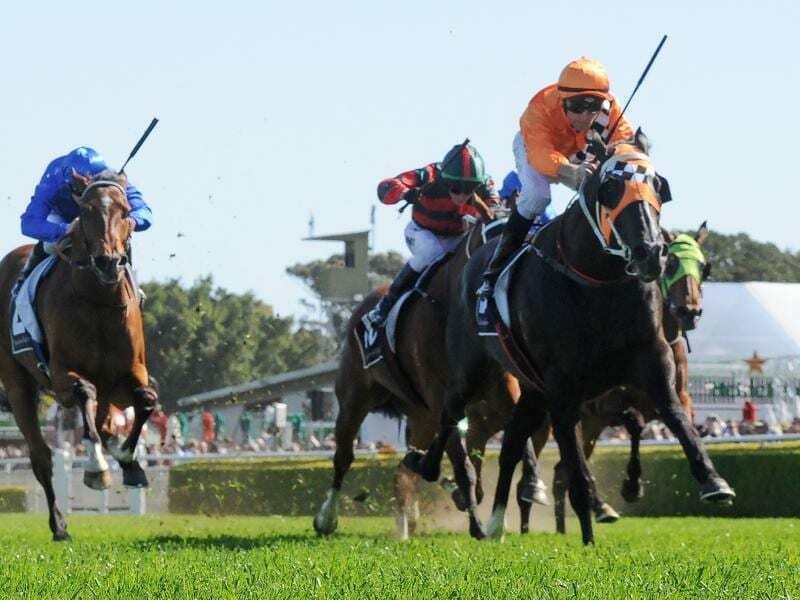 Another of the leading local hopes, the Chris Waller-trained Youngstar, was on the second line of betting at $5.50. Youngstar is scheduled to get her first look around Caulfield on Tuesday morning in a gallop with her jockey Kerrin McEvoy aboard. Along with his Group One Victoria Derby win at Flemington last spring over 2500m, the only other time Ace High has raced beyond 2000m was when beaten a nose by Levendi in the Group One Australian Derby (2400m) at Randwick in April when they put a space on the rest of the field. Payne is looking forward to Ace High getting to 2400m again on Saturday. “He’s a Derby winner so he’ll be even more comfortable,” he said.